Squeaky Books: Book Advice Needed! All right, if you've been following this blog for over a year then you know about my grandparents tradition. Every Christmas they take all of their grandkids out to eat, and then to the bookstore to choose books for their Christmas presents. I am incapable of choosing right away, so my grandma gives me time to make a list and then go home and think about it. Does it have a lot of harsh profanity? My Thoughts: This one sounds AMAZING. Has anyone read it? My Thoughts: This is an omnibus of a series that came out in the late 1990s/early 2000s. I’d never heard of it before. But it sounds super-cool. My Thoughts: I know very little about this one, but the summary and cover were enough to catch my eye. My Thoughts: This one sounds like it could be REALLY good, or REALLY lame. So… it makes me nervous. My Thoughts: I’ve seen this one floating around, but this was the first time I’d ever read the summary. It sounds good! Is it good? My Thoughts: This one has a really good rating on GR, and I’ve been thinking about it since LAST Christmas. My Thoughts: Okay. 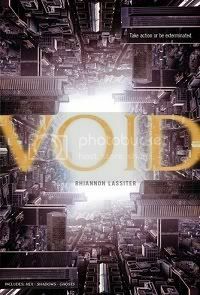 I know this is getting a lot of really great reviews lately, but I’m worried that the romance will turn me off and it’ll be just another book that TRIES to be paranormal, but is really just a romance. Is it really worth all the hype? THANK YOU! I'll let y'all know which ones I choose! And if you're curious, here's the list from last year. The only one I've heard of is Shatter Me, and everything has been positive. I talked to a friend and she said it wasn't a romance masquerading as paranormal, so hope that helps! It's definitely on my TBR list. And AWESOME Christmas gift! Your grandparents are cool! I just finished Witchlanders. I didn't enjoy it as much as I thought I would from the description and the excerpt that I read. It seemed a little young for YA and a bit mature for MG. I don't usually notice swearing, so I can't promise anything, but I think there was maybe just a little bit. Not bad at all. 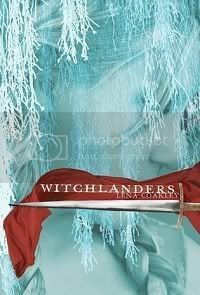 If you like fantasy you'll likely enjoy Witchlanders. I've read Shatter Me and Invasion. I loved Shatter Me - it's a different take on dystopia with a paranormal twist. 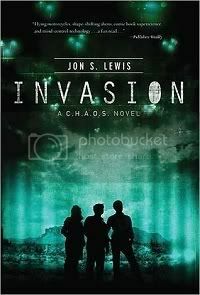 I really enjoyed Invasion, it's different which is refreshing. I've read Shatter Me, and to be honest, I thought the romance totally overpowered everything else. Plus it follows the usual dystopian theme, so nothing really original there. I've never heard of any of these, but based on the summaries I think Shadowcry sounds awesome, and Shatter Me could be really good too. Thanks for this list, I may read some of them myself! 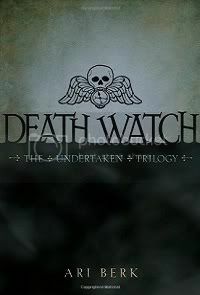 Death Watch-I am almost 100% sure that it is clean. I thought it was a little long (500+ pages) but it's very atmospheric. 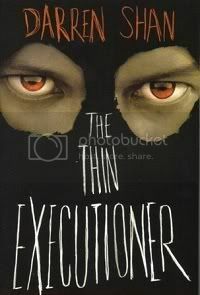 The Thin Executioner-One of my favorite books I read this year. Pretty sure language is clean but there are some darker elements. 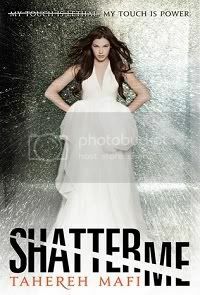 Shatter Me-I thought the romance was WAY too much; pages of them kissing and how it feels for them to touch-gag me! The ending does pick up though. 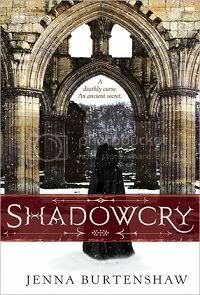 Sorry, no advice but of all the covers Shadowcry wins in my eyes. Good luck. I wish I had relatives that did that for me. I haven't read it, but since Witchlanders is a fantasy adventure story I can't imagine there'd be much modern day cursing. I have it out from the library so I can check back after I've read it and let you know for sure though. Hey!! I recently read Shatter Me and loved it, but it is heavy on the romance and wordy, so if you don't like that..... Also, we did a content review on it. I think Austin may have read Invasion, but I can't remember. He wrote The Grey Griffins series, which was pretty good. Can't wait to hear what you pick!